Yo yo, those Ball Street Journals are going quick!! BSJ is now available through our friends at Art Park here! MCA Zine Fair 2011 Wrap Up pt2. 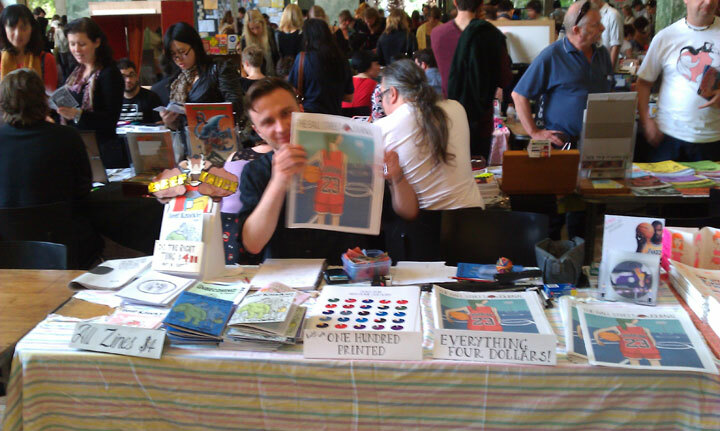 I have to say that the Zine fair, although it was busy, wasn’t as busy as last year. I think Primavera was on at the MCA at the same time last year. Still, it was an awesome turnout, the MCA Zine Fair is still the best fair in Australia in my opinion. I didnt get to buy as much as I wanted, but I did pick up a few great zines. 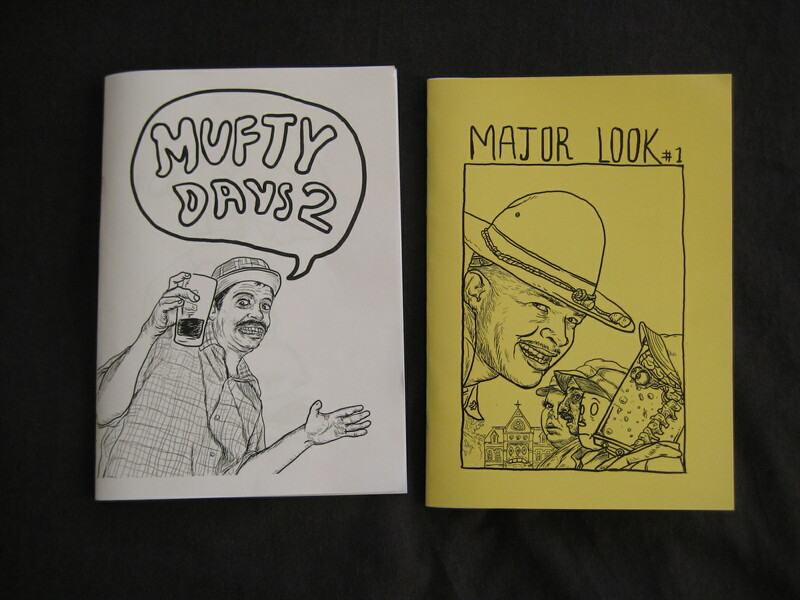 I got two zines from a friend of mine, Jin Hien Lau, Mufty Days #2 and Major Look #1. 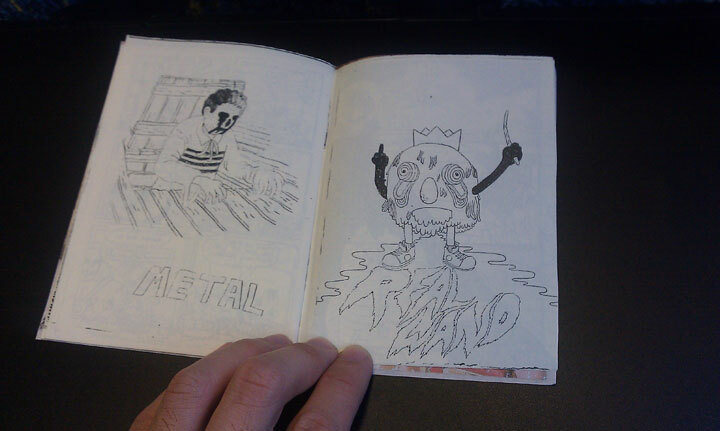 Dude has has much talent and hilarious zines. 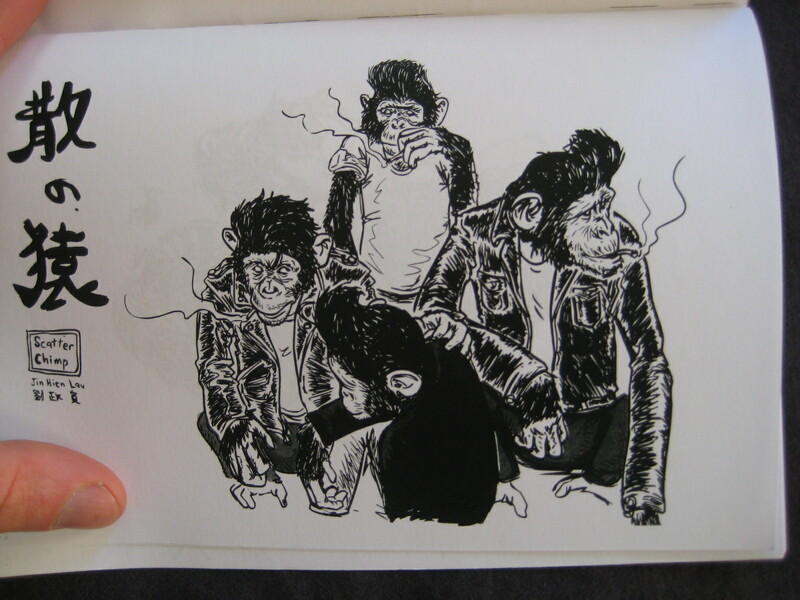 His drawings are excellent, they have a brushy quality to them that i dig. His humor is a mixture of poop jokes and Rozanne Arnold. Major Look #1 is a collection of Jin’s drawings. The cover is especially great, it has Major Payne talking to some kids, one with a glass jar with eyeballs and a spine for a head. 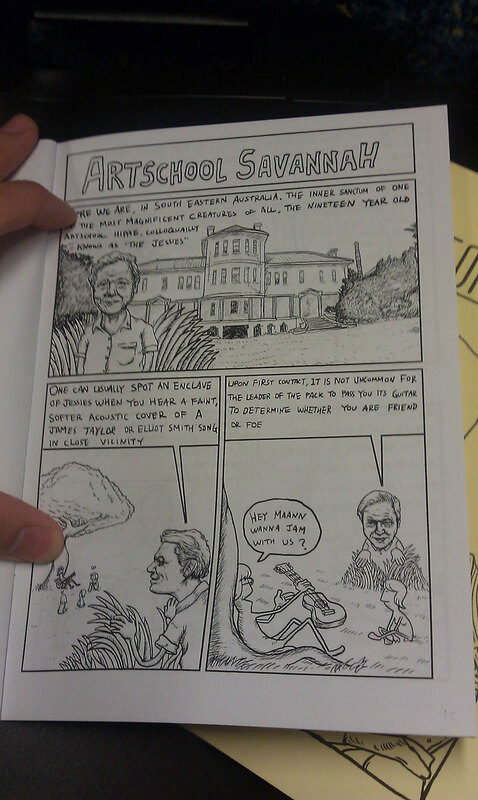 Some great illos inside! 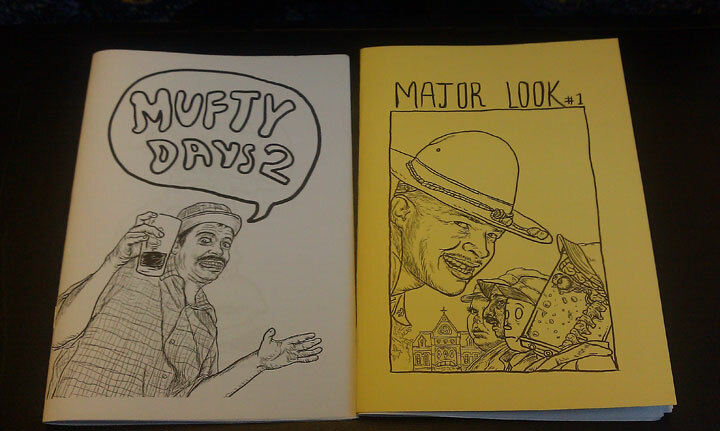 Mufty Days #2 is a collection of comics. This one is my favourite. There’s a great mix of comics in here, some are autobiographical and some are just absurd, all of them are LOL worthy. If you’re the kind of person that likes internet meme jokes, you’ll love this. Trust me, its gold. 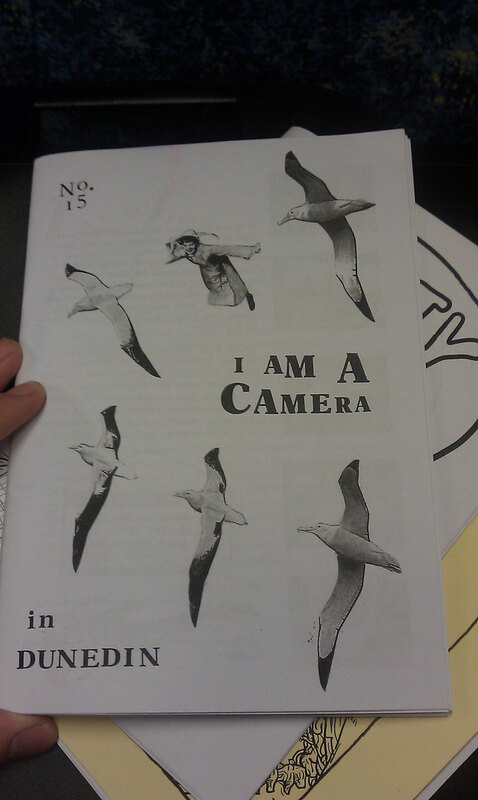 Best zine of the fair! We sat next to a really nice dude called Craig at the fair. He had a great stall and it was really popular! He’s one part of Art Park, which is an artist residence in Byron Bay (me and Hon cameo on their front page!). 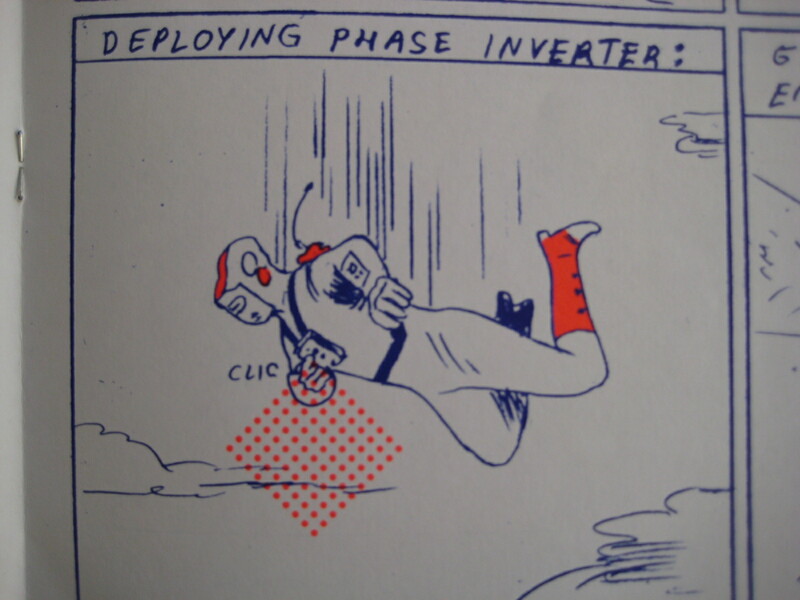 They make clothes, zines and distribute zines, book and comics from overseas, as well as offering an artist residence. Their threads are pretty sweet, check them out. 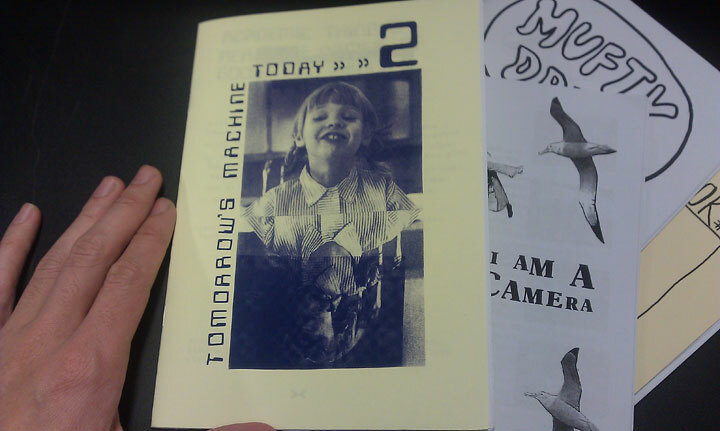 I bought a zine from Craig called Mould Map#1. 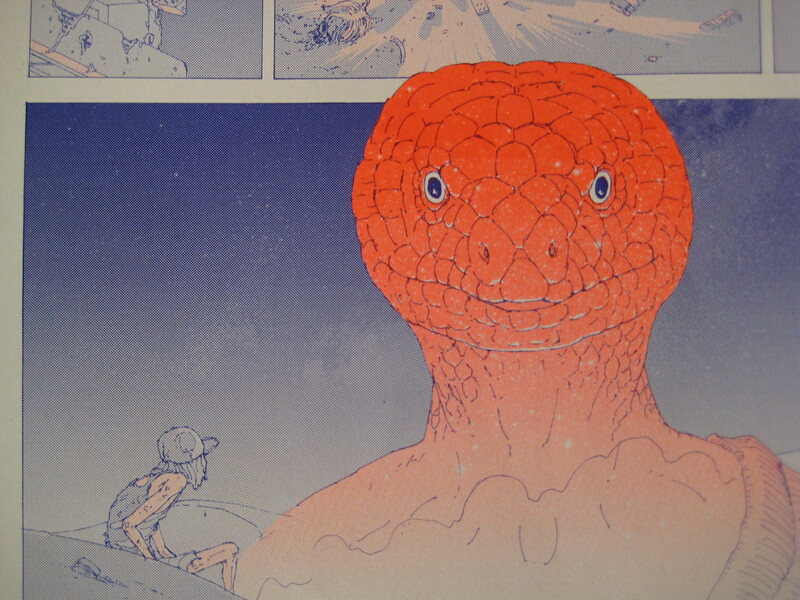 It’s a large format collection of art comics, printed in two colours, blue and fluorescent orange. 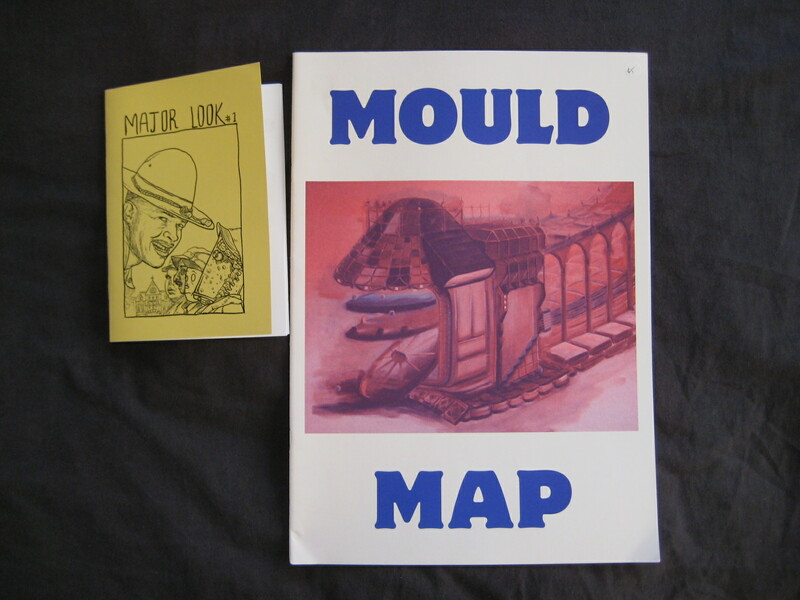 It’s from collective in London called Mould Map. The pictures area great, and the big format is nice. Most of the comics inside have a stream of consciousness kind of feel, or are like a section of a larger narrative. 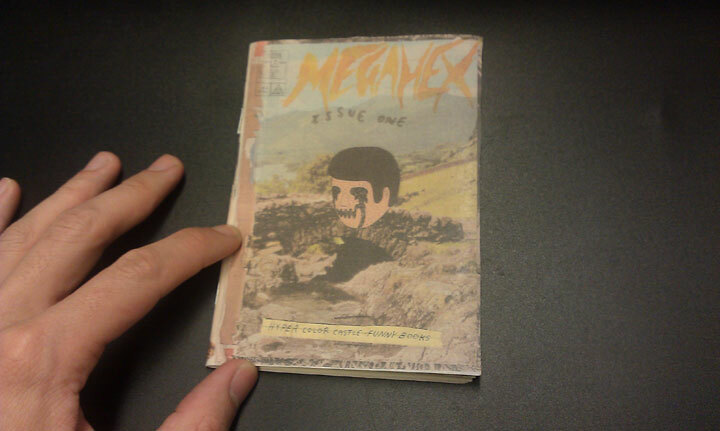 All the comics inside are slightly skewed and weird. It reminds me of stuff from from French publishers Le Dernier Cri. You can pick it up from The Art Park here. It was a bit tough but we’ve managed to finish our latest zine, The Ball Street Journal in time for the MCA Zine Fair coming up on Sunday! 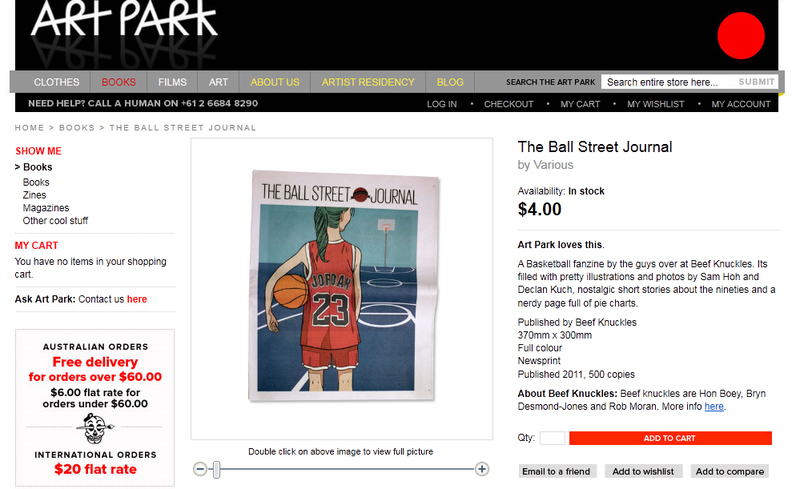 We’ve also created a website for it that has all the details: www.ballstreetjournal.com.au. If you’d like a copy, email us at beefknuckleszine@gmail.com. We’re also selling some cool nerdy posters as well, which you can peep at the site. both the zine and posters are $4 each. The Ball Street Journal was also super lucky to get some love from Two Thousand. Read the nice things they had to say about it here. See you all on Sunday at the MCA! It’s less than a month till the MCA Zine Fair and we are super excited. We have a whole table that will be stacked with issues #3 – #5 of Beef Knuckles (#1 & #2 have all gone sorry). We’ll also have a very special project on the table as well – The Ball Street Journal. The Ball Street Journal is something that Bryn, Robbie and I have been putting together for the past 6 months. 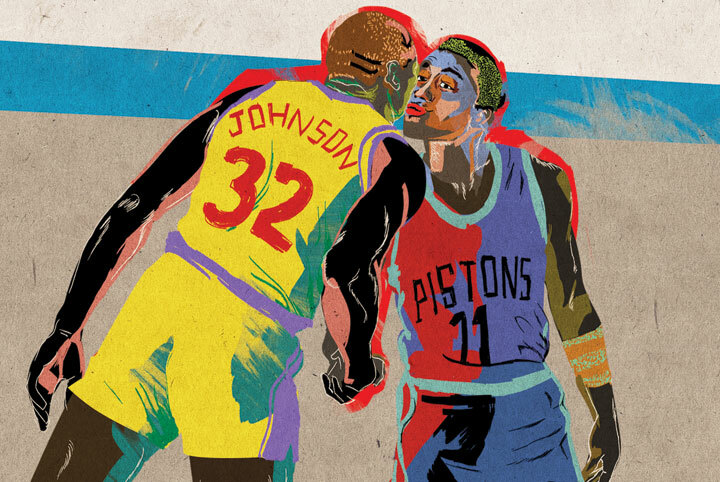 It is a love letter / newspaper / zine about our favourite sport – basketball. We’re going all out for this one, printing it full colour and tabloid size. We’re nearly there but we’re still racing to put it all together by the time the MCA Zine Fair rolls around. We’ve also got some amazing contributrs, like Sam Hoh, who did that great illustration above (there are 7 more in the paper!) and Declan Kuch, who spent a night with us as we went to see the Sydney Kings. So, we hope to see you all on the 22nd of May at the MCA! Come by, say hello and pick up a copy of The Ball Street Journal or Beef Knuckles. And make sure to bring your own zines so we can do a swap. Also, if you were unfortunate enough to miss out on a table, drop us a line and we’ll be sure to make space for your zines on ours.